Image credit: Coney Island Brewing Company. 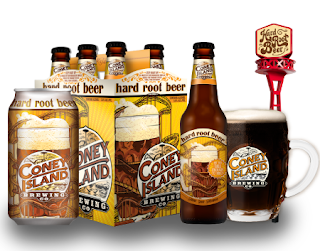 Andrews Distributing is adding yet another hard root beer to its stable of offerings with today's announcement of a new agreement with the Coney Island Brewing Company. Jeremy Cowan of Shmaltz Brewing Company founded Coney Island in 2007, making a name for the brand by crafting award-winning lagers with artwork featuring the "spirit and iconic imagery of Coney Island in New York." In 2013, the brewery was acquired by Alchemy & Science, a subsidiary of the Boston Beer Company operated by Alan Newman and Stacey Steinmetz. 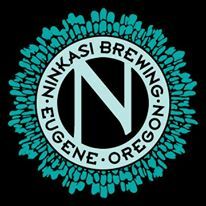 Newman was one of the principals behind the Magic Hat Brewing Company, while Steinmetz was that brewery's first employee. Under the new leadership, Coney Island "continues to create world-class products that capture the fun and happiness of Coney Island." The company's Hard Root Beer (5.8% ABV) is a new twist on an old favorite, bringing together elements of vanilla, licorice and birch in a product "designed to take your mind and taste buds to the boardwalk." According to a press release, Andrews will begin distributing Coney Island’s Hard Root Beer in Dallas-Fort Worth and Corpus Christi in August. It will first arrive in 6-packs of 12-ounce bottles, with limited availability on draft. Plans are also to offer 12-pack cans at a later time. For additional information about Coney Island Brewing Company, please visit www.coneyislandbeer.com. Ahead of its third anniversary, Lakewood Brewing Company has revealed additional details on Lion's Share III, the beer the brewery has crafted especially for the occasion. Providing some background on the release, founder Wim Bens explains, "Every year we have an employee competition to choose the new batch of Lion's Share. It's an employee-wide open call to create a unique recipe, which is voted on by employees. 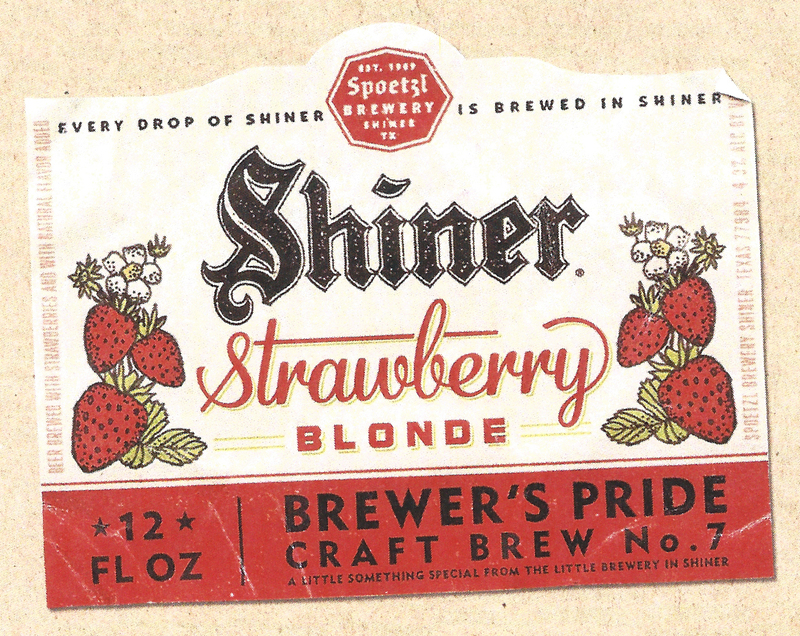 The beer that wins is what we brew." According to a press release, this year's recipe is described as "a well-rounded Old Ale that has been aged for months in premium Napa Valley red wine barrels." The beer's foundation is made up of 100% Maris Otter, an English 'winter' variety of malted barley that adds distinctive bready and nutty flavors that are ideal for this type of beer. On top of that, a combination of UK hop varieties, including Target, Challenger and East Kent Goldings adds a floral, slightly fruity aroma and bitterness that compliments the malt backbone nicely. "We want Lion's Share to be a unique or under-represented beer style," added Bens. "We like to age Lion's Share in barrels and we've used bourbon and white wine barrels in the past. This year we picked red wine and the results are amazing." As for the forthcoming celebration, Bens says, "This is a very special year for us at Lakewood. Every success we've had so far come with its own set of challenges, which makes this year even more special for the entire team. 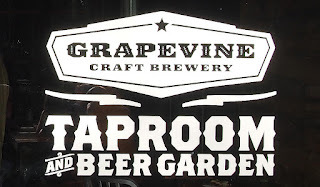 I couldn't think of a better way to celebrate our hard work than with the folks of DFW who enjoy our beer and have made it possible to do what we do." 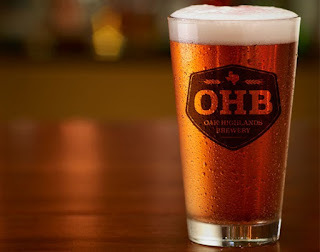 Image credit: Oak Highlands Brewery. 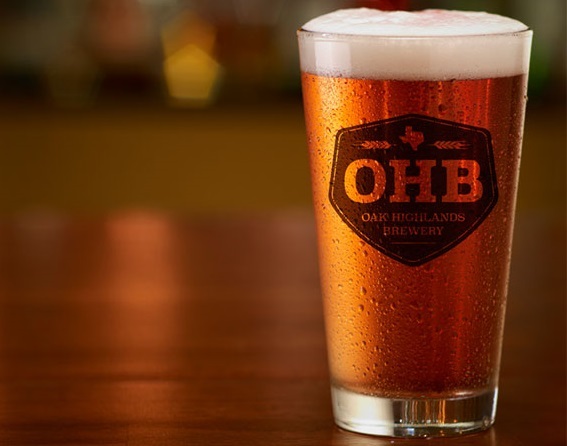 Just ahead of the company's official debut this weekend, Oak Highlands Brewery has received word from the TABC that five of their beers have received label approval. 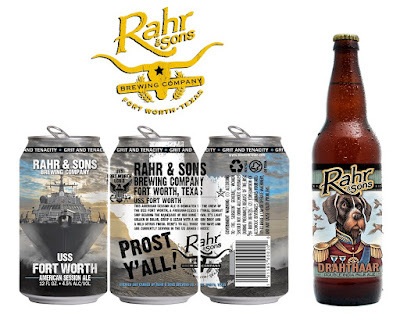 That means consumers can expect to find Allgood, Derelict IPA, DfDub, Freaky Deaky and Golden Mustache at bars and restaurants in and around Dallas beginning next week. 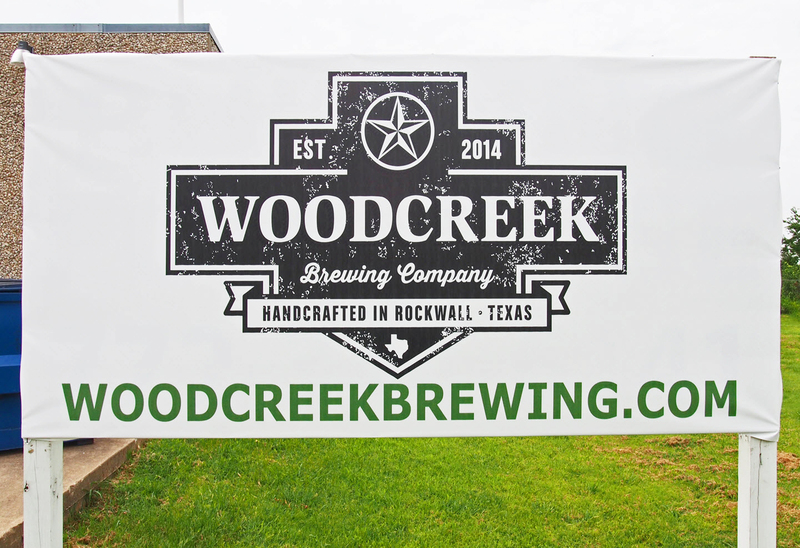 After more than three years in development, the Noble Rey Brewing Company can finally claim the title of being the newest craft brewery in North Texas. Owner Chris Rigoulot and his team began welcoming consumers during a series of soft opening events last week before the official debut this past Saturday. First appearing on the scene in early 2012, Noble Rey would be forced to scrap plans to open in Grapevine and Oak Cliff before winding up at its permanent location in the Dallas Design District. Now settled at 2636 Farrington Street, the brewery sets up as the northern bookend to a two mile stretch of the city which includes neighboring brewers Peticolas, Community and the Texas Ale Project. 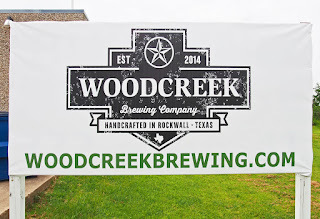 Cross the Trinity River and Four Corners is in the vicinity as well, which if you ask me means there's an opportunity for a rather epic brewery crawl for anyone willing to take up the challenge. The entrance (left) and brewhouse (right) at Noble Rey Brewing Company. The building Noble Rey occupies takes up a total of 8400 square feet. An eyeball estimate suggests a little less than half of that is devoted to production, with the rest set aside for the taproom. 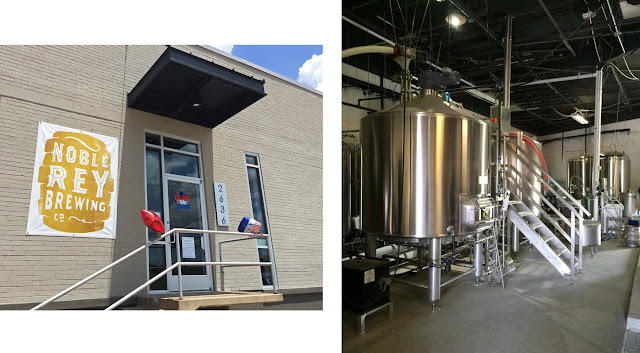 The work space contains a two-vessel, fifteen-barrel brewhouse flanked by a wall of thirty-barrel fermenters, while the public area has two bars, couch and table seating options, arcade games and a TV equipped with a gaming console. 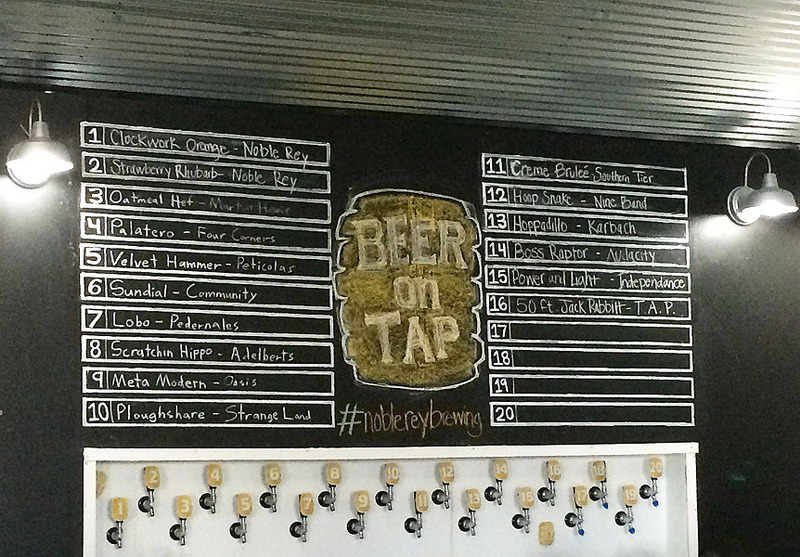 Taproom offerings on opening day featured an array of mostly Texas taps, including beers from Noble Rey's Pilot Series. 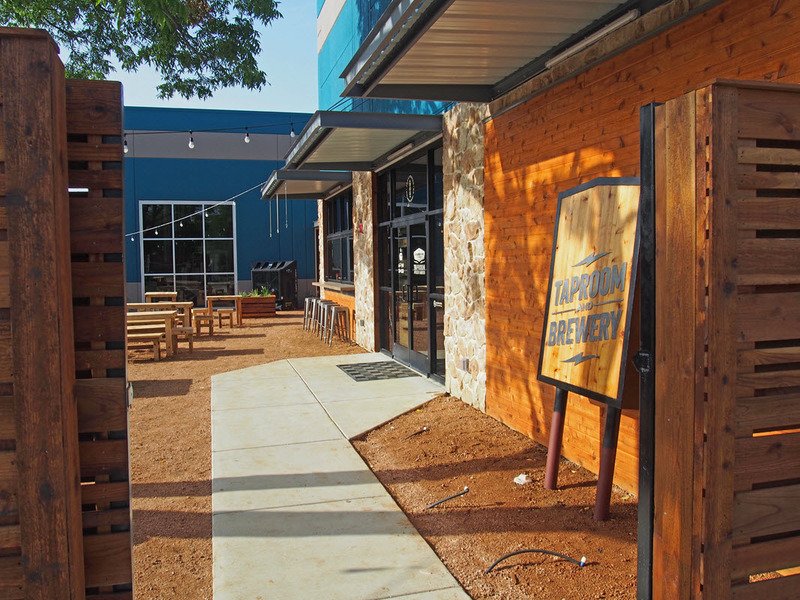 Thanks to a brewpub license, upwards of twenty guest beers will pour from the larger of the two bars on days the taproom is open, with as many as four house beers being served at the other. While only select Noble Rey products were on tap this weekend, a larger selection of the brewery's beers will be made available once operations ramp up later this week. That's when Rigoulot and brewer Justin Krey will begin crafting commercial batches on the brewery's production system. Not that you would have noticed, necessarily, but all of the beers served in the taproom up to now have been produced on Noble Rey's pilot rig. 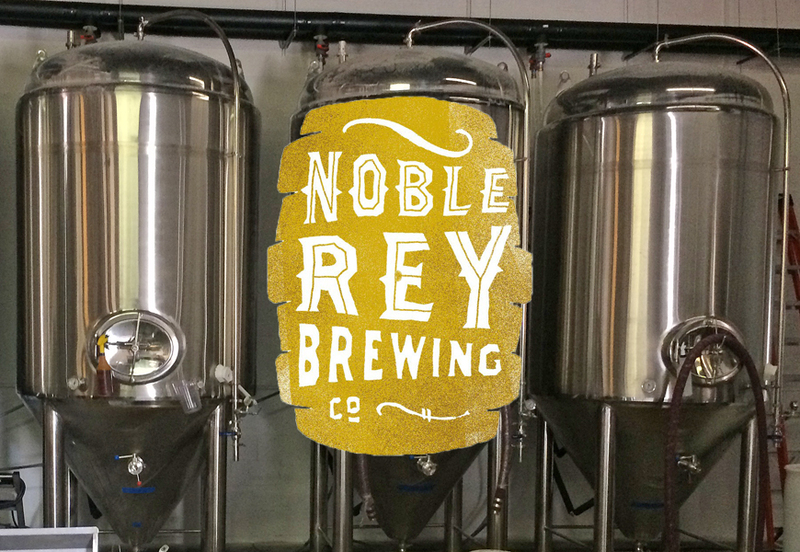 Guest beers are on tap at Noble Rey Brewing Company. One of those I sampled was Clockwork Orange, billed as the brewery's standard Steam Punk brewed with blood oranges, Himalayan pink sea salt and a French saison yeast. 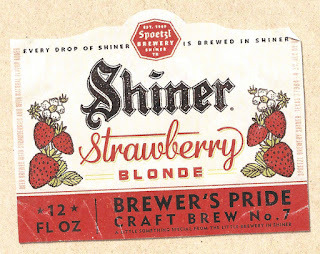 Here, the bitterness from the fruit addition provided a nice balance to the somewhat sweet, grainy malt making up the foundation for this beer. At least to my taste I thought the salt and yeast influence was fairly subtle, but Clockwork Orange is a beer I'd gladly come back to again in order to do some additional research. 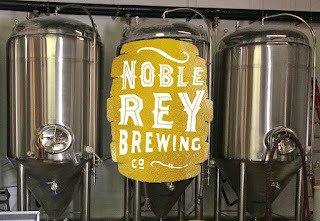 As for the rest, once in-house stock gets built up, patrons will have the option of taking home Noble Rey beers in both glass growlers and aluminum crowlers. Further out, cans will be another take-home option, though Rigoulot mentioned during an impromptu tour he gave that canning would happen a few months down the road. For now, you'll have to get your fill on bottles and cans from local and national breweries which are on sale to-go in the taproom. 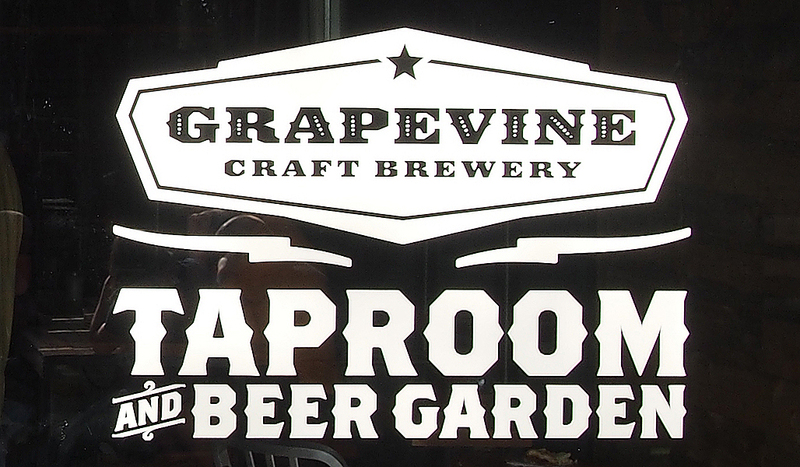 Taproom hours: Wednesday-Friday 4-9 p.m., Saturday 12-10 p.m.